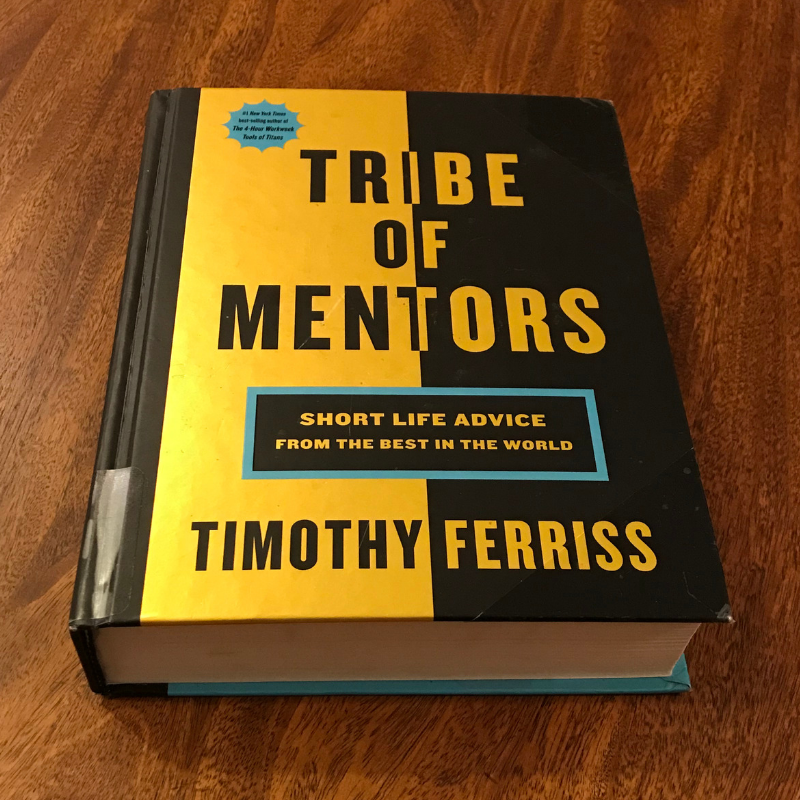 Tribe of Mentors: Short Life Advice from the Best in the World by four-time #1 best-selling author Tim Ferriss is fascinating look at how some of the world’s most successful people approach the challenges of life. Ferriss reached out to more than 100 top performers in the world (including writers, athletes, business owners, spiritual leaders, actors, entrepreneurs, investors, and more). Ferriss asked them to answer some version of the same basic 11 questions (some of them answered all of the questions, some answered a couple of them, and some crafted unique responses). I found myself focusing on the responses to 3 of the questions: what failure set you up for success later on? ; what advice would you give to a smart, driven college student about to enter the "real world" and what advice should they ignore? ; and, what are bad recommendations you hear in your profession or area of expertise? As far as the best advice for young people about to enter the real world, I really liked what TED curator Chris Anderson had to say. Anderson said "pursue your passion" is terrible advice for students about to enter the working world (page 409). What people in their 20s really need, Anderson says, is to work on personal discipline, learning and growth; the passion will develop in due time. Amen to that! Lots more good tips like that in Tribe of Mentors — plus plenty of mundane advice as well. Tribe of Mentors is a handy, valuable compilation of useful advice from high achievers across many different walks of life. Truly intriguing to get a glimpse at how some of these high achievers approach challenges, and sometimes you might find tips that you can use. Click here to check the price at Amazon.